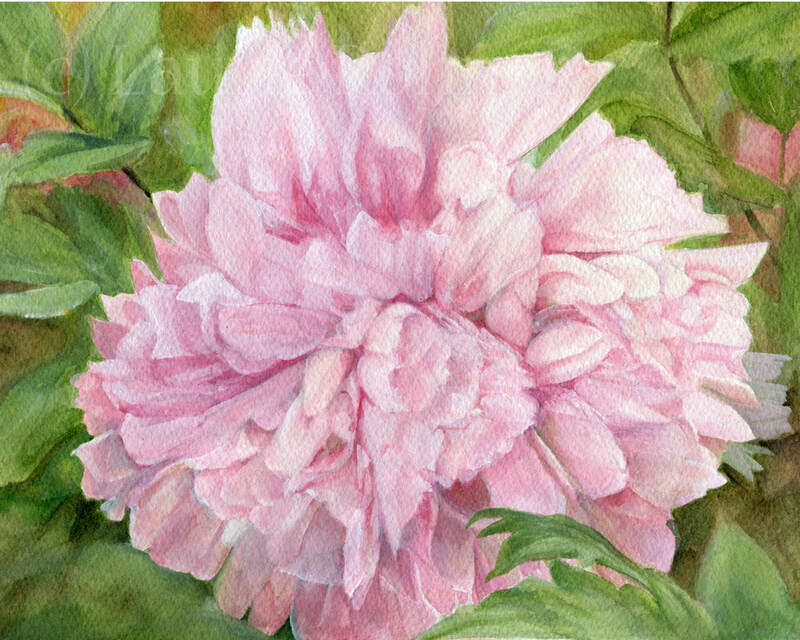 ​Pink Peony a botanical garden flower floral watercolor original artwork by Laurie Rohner is detailed realism, a favorite of many. I show the subtle shades of pink burgundy blue and brown as the light hits the petals. I painted this flower from a photo I had taken of one of my peonies blooming in my very own garden. It is the first of a series of peonies being painted in a range of colors. This painting comes unframed. I used 300lb watercolor cold press paper which is thick with a slight texture (as shown in the second photo). The painting is over 8 x 10 inches with a nice border to make it easy to frame. Signature: Signed on front; signature, date, title, medium en verso. If you are not sure how to frame this artwork I would be happy to frame it for you. Frames I use are silver or black metal with white mats.